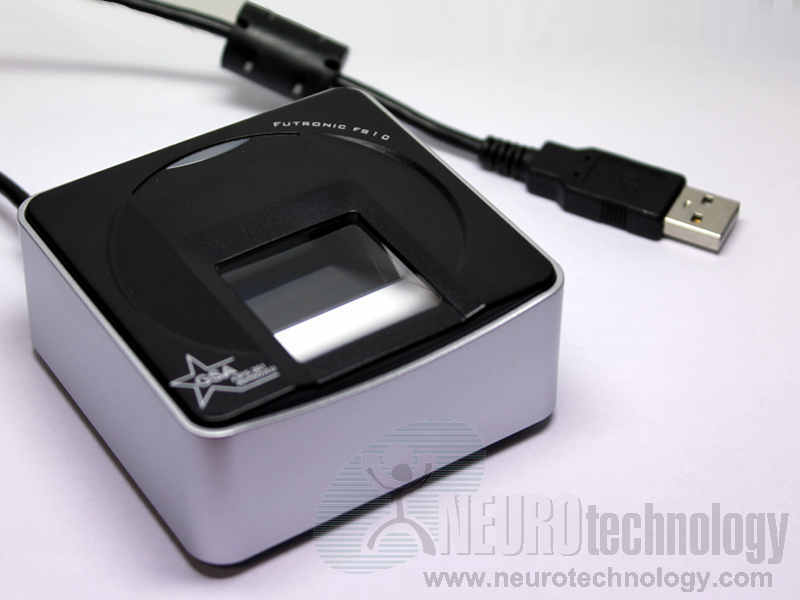 Futronic FS10 is an optical single fingerprint scanner with 1" x 1" platen. The scanner is intended for using in civil AFIS applications and is certified by FBI to be compliant with PIV-071006 Image Quality Specification for Singer Finger Reader. Also the FS10 is listed in the US General Services Administration (GSA) FIPS 201 Evaluation Program Approved Product List. The scanner uses infra-red LEDs to illuminate a finger during scanning. The sensor window is able to resist scratches and other stress making it suitable for heavy duty usage.